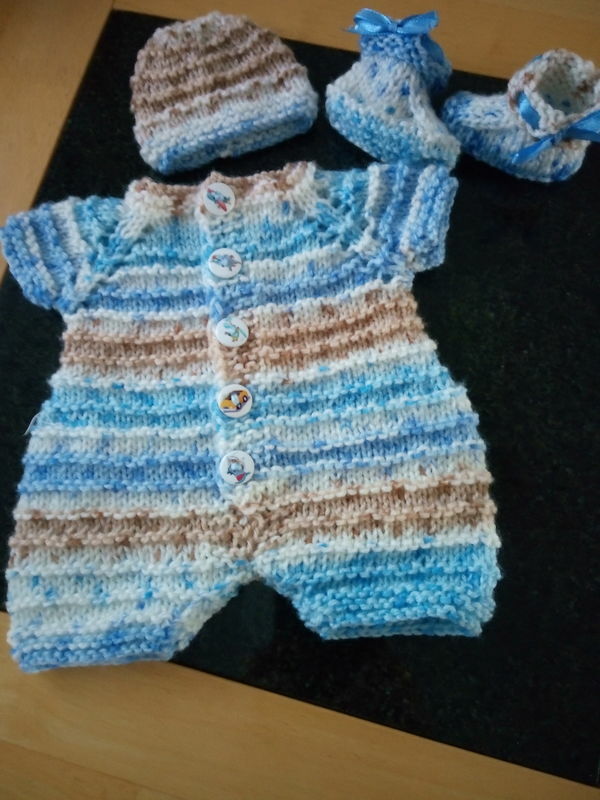 Some of my knitting for babies born asleep. Baby boy's onesie, cap and bootees. Ready to go to the neonatal unit at Nottingham hospital. Bless you for your donations. I don't think I could do what you do. Lovely knitting. Darling outfit and exquisite blanket! You are a special person to make these items. Bless you. A nice comfort for grieving families, knowing that someone cared and made these beautiful clothes. Thank you for making these for the special babies and their families. So precious and bless you for doing this. The handmade items my niece received during little Bobbies short time were such a comfort to her. She has all of his little hats mounted in a shadow box to show the love he received from the community while he was here. So thank you again and please know what a difference your work makes in the families lives. Beautifu & I know they wil be uch appreciatedl. 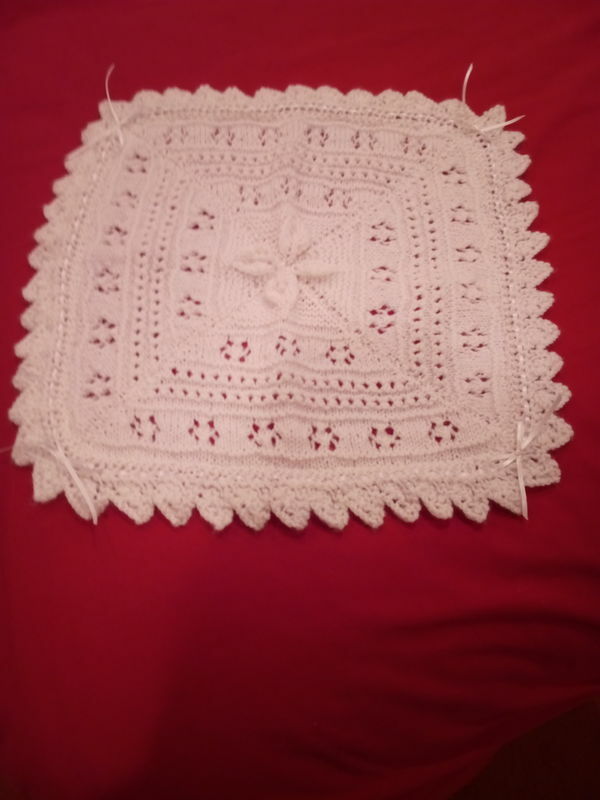 I knit for our local Hospital. When I went a couple of weeks ago to take a couple of items & to see the Consultant I stopped to have a chat. They sell the items in the lobby & I asked what sell best. They said that matinee coats don't sell so well as more 'modern items' and next time would I ind knitting some items for older children, little brothers and sisters. We agreed on cream would be the best colourway & I have just received a pack of Baby yarn from Marriners so I can get started. I will also knit for little boys as I didn't really see anything for them. They had lots of the tiny outfits which the Neo Natal can choose from at any time. The only have the stall one morning every 2 weeks so I said I could post them but they told me they might not get them....... who knows what happens to them in that case. These are lovely. Even these little angels deserve the best. Beautiful items,well done to you. Lovely and so generous of you!